ANNAPOLIS, MD. – The Army women’s track & field team was defeated by rival Navy in the Army-Navy Outdoor Star Meet on Saturday. The 115-88 victory by the Midshipmen clinched the sweep of the Star Meet after winning the men’s competition earlier in the day. The victories give Navy an 11-9 lead in the Star Series presented by USAA. It is Navy’s fifth consecutive win in the women’s outdoor meet. For the Black Knights, the day was highlighted by the performance of Calli McMullen, who posted a time of 11.64 in the 100 meter dash and 23.89 in the 200 meter dash. Head Coach Mike Smith said, “Pretty disappointing outcome today. We knew we would have a hard time winning the meet, but we struggled more than we should have. “We had some strong events but not enough of them to change the outcome. Calli McMullen was dominant. She just keeps getting better and better. “Our young throwers were also pretty good out there today. Emily Mikoud and Abigail Green have really adapted well to the demands of collegiate throwing and are going to be major players in this meet for years to come. “Bonvie Fosam put together a nice series in winning the triple jump. This is the best she has looked all year. 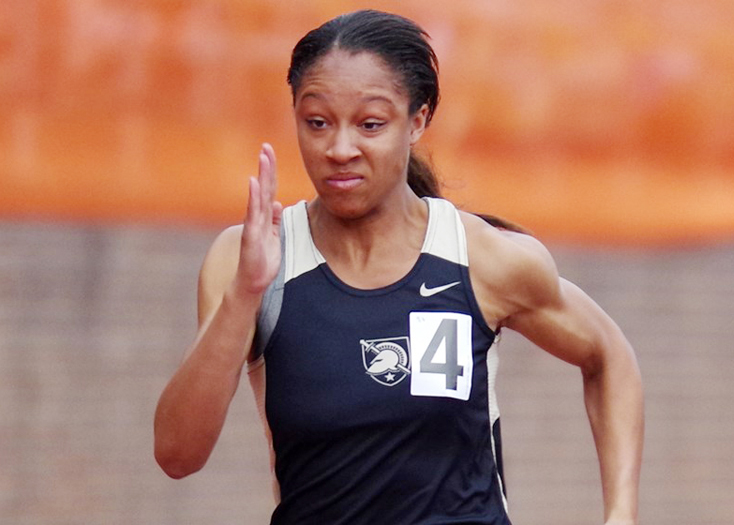 The Black Knights head to Lewisburg, Pa. for the Bison Outdoor Classic on April 13 and 14.